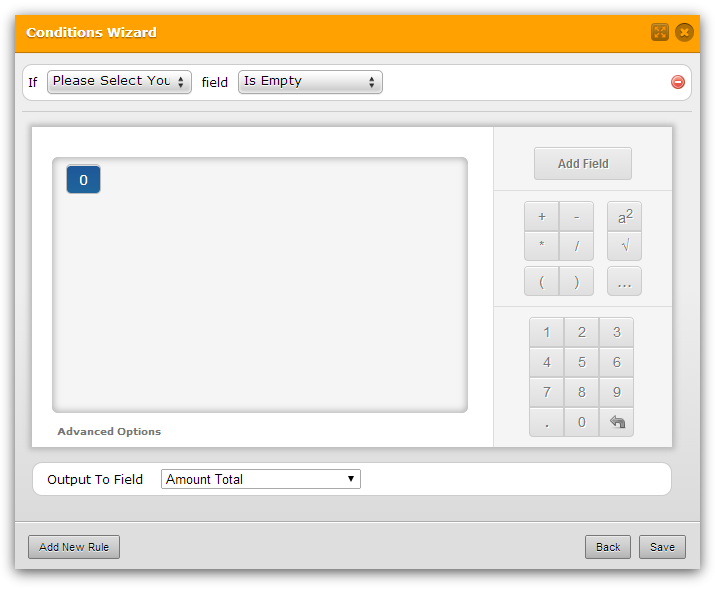 In the form if the user makes a selection, the value is added to the calculation. The selection can be from the radio box or checkmark etc. Just say the radio box seletcion values are 15 and 20. If the user makes the appropriate selection for 20 then that field is brought into the calculation. If the user changes their mind and goes and deselect 20 and to select 15 or any other selection with a value, the 20 still remains in the calculation and and the resulting calculation will be 35 instead of 15. Basically when the user deselects a form field, that value is not being cleared from the calculation. I guess the problem with this is that when you deselect an option that doesn't removed the selected value in the radio or checkbox and the only option in the form builder that will clear the form is using the "Clear form" button which will clear all including texts. What I can think of is downloading the form source and adding a clear button beside the "Total" field. If your fine with downloading the form we'll try to make a sample for you. Yes. I have to actually host my forms due to some other source code changes so yes I am fine with downloading the source. You can test the form in this link and you can download the rar file here. I hope I'm making sense. Just that if the field one is now deselected, that value AUTOMATICALLY returns back to "0"And thanks for your time. If 'Please Select Your Option' field 'Is Empty' then output '0' to 'Amount Total'. It appears to be working fine when you select/unselect the Tour and Airport Transfer options. I have updated the script and once "Tour" and "Airport Transfer" is deselected the "Amount Total" will be reset to 0. You can place this after this line <input type="text" class="form-textbox" data-type="input-textbox" id="input_15" name="q15_amountTotal15" value="0" size="20" /> when you download your form's source code. The form is on this link. About the calculation it does the calculation and works fine on my end. Hi. Yes it does the calculation. Thanks very much. Code is not exactly what I was looking for but it did put me on the right track. Will do my changes and update as to the result. Thank you for updating us. Contact us again anytime if you need our assistance. This worked for us. It is a lot more simple. 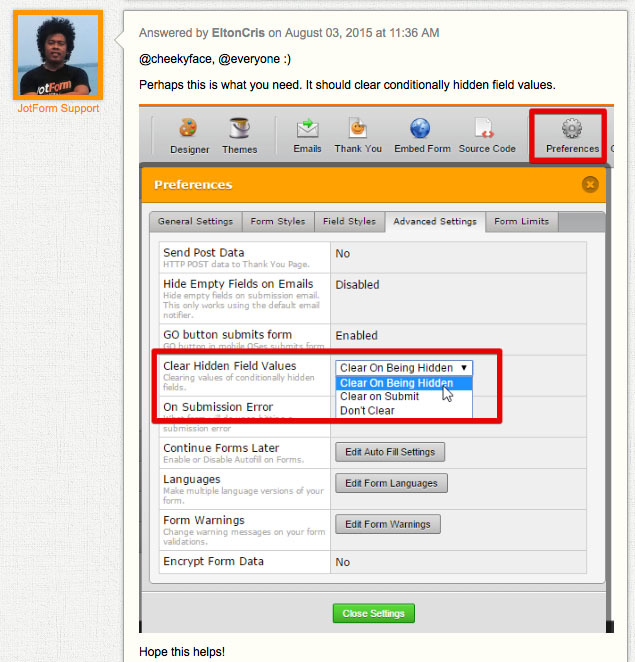 But we have fields show/hide based on what they selected. Might not work for everyone. Thank you for your recommendation SRWProducts. This is also a way to clear values when they are hidden.